Tennis is everyone’s favorite sport and when it comes to Wimbledon, even the dumbest kid in the town would be glued to his television set watching big tennis stars compete for the prestigious trophy. In this era of science and technology, a championship is not just limited to Television sets. Be it FIFA or Wimbledon 2014, the games are paired and accompanied by the launch of various apps that give you precise details regarding the game, upcoming matches, contestants and basically everything you need to know. You could be stuck in an important meeting, or traveling to someplace. But you wouldn’t want to miss out on the match updates, score, and other details. Basically, in case if you’re not next to a television or computer screen, you could get your Tennis updates with the amazing apps available for download on your smartphone. Listed below are the top 5 Wimbledon 2014 apps in my opinion. 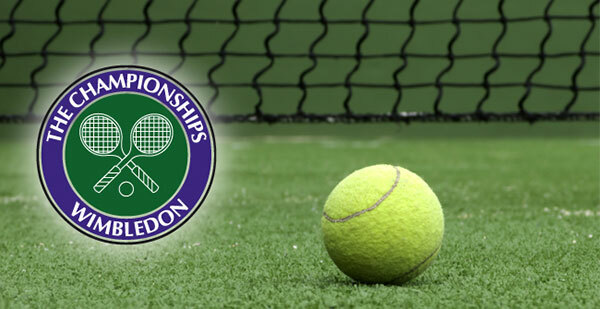 This is the official Android app for Wimbledon 2014 developed by All England Lawn Tennis Club (Championships) Limited. The Championships run from 23th June to 6th July 2014. This app will provide an info on LIVE scores, Results, Order of play, Draws, News and Live Blog. When you are working in your office and cannot devote enough time for watching the game, all you need is the Wimbledon Tennis Live Score app which will flash the score whenever you look up for it. The app displays a data sheet which provides you with information regarding the scores of all the tours and the grand slam matches. The app also features in-app challenges, quizzes and rankings. In my opinion, this is the best tennis app as it not only keeps you updated about the matches as they occur, but it also lets you play games. The app is interestingly designed and perfectly entertaining. When it comes to counting down the best Sports apps available in the market, BBC Sports paves it way through the list of top 5, whether it is Football or Tennis. The latest updates, news, and other details are provided to you on the go. The app also gives a pre-game speculation and post-game analysis to keep the users literally up-to-date. Further, the app lets you customize it which makes the app perfect! You have the liberty to set notifications as per your convenience. You can also choose your favorite sports, your favorite player so that you will be provided with detailed information regarding your favorites. Basically, the main page of the app will be flooded with news regarding your favorites! Wimbledon 2014 live updates are really hard to get if you do not have an app that does its job perfectly. While the Android market is flooded with such sports app, the App Store and Windows Store are lagging behind in this field. Thanks to TV Catch Up, iPhone, and Windows Phone users can also enjoy live feeds. TVCatchUp is the app which lets you watch the Wimbledon 2014 live! You don’t need to be standing in front of your television or desktop screen. The app basically streams the matches live. So when you’re stuck in a boring party or a traffic jam, all you need is a good data connectivity, and you can watch tennis live and stay in action! The app also features Desktop Player, through which you can watch the match on your desktop and also record live Freeview. Now, you can watch and re-watch your favorite matches and enjoy the game. Tennis Math is an amazing statistics tracking app which basically keeps track of every single player’s score. The tennis players and the coaches themselves, will benefit a lot from this app as it provides with all the necessary information, any player would take note of about his opponent. This app basically manages and summarizes everything and anything that any enthusiast or player ought to know. Now you can manage the tournament on your own sitting at your home.